Before your dog can attend an appointment for canine massage I must first get in contact with your vet to get consent for the treatment. Healthy Hounds acknowledges and respects the Veterinary Surgeons Act 1966 and Exemption Order 1962 by never working upon an animal without gaining prior veterinary approval. You get veterinary consent by contacting Healthy Hound and providing us with your details and your dogs details and we will do the rest for you. This will last for approximately 15 – 30 minutes, this is where i will be assessing your dogs Daily Living Activities, Diet, Exercise Regime and Medical History. This where I will also be asking you what results you would like to see from the massage. Gait analysis is so import to a canine masseuse as it enables us to able to monitor how a dog moves and give us the ability to tell the difference between normal and abnormal gait and help identify any injuries or illness the dog may have. The dog has the ability to spare an injured joint or sore leg by shifting the weight off the affected limb and on to another limb, dogs are able to do this in such a way that the abnormality may be almost unnoticeable. 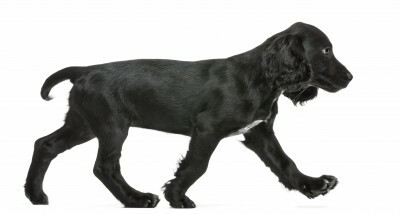 When analysing your dog’s gait i will be observing from the front, back, and the side, i will also analyse the way your dog walks, trots and canter. From this i will be able to see any gait irregularities, areas of over compensation, any pain, stiffness or discomfort. I will also be assessing your dogs posture looking for how your dog is holding their body which can reveal areas of overcompensation and pain referral. 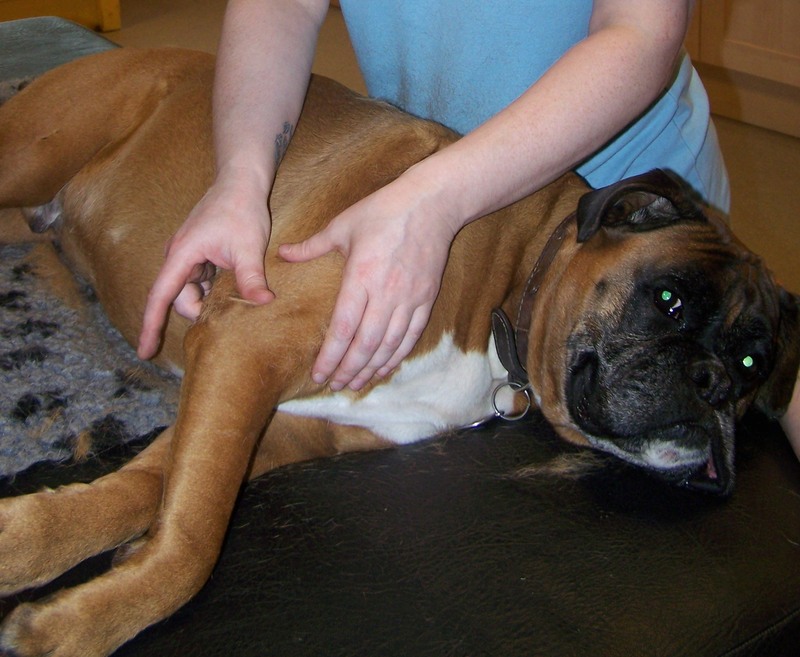 Palpation is a method of feeling various parts of the dogs body with the fingers or hands, to be able to feel what’s not quite visible or to find out a little bit more about what is visible. The masseuse touches and feels the dogs boy to examine the size, consistency, texture, location and tenderness of the body part. By doing this the masseuse can determine normality of muscles if there is any swelling, muscle tension, abrasions, strain etc. However, muscular assessment or palpation involves much more than simply touching the muscle. Muscular palpation has two major objectives. The first is to locate the target muscle that is being palpated. Once it has been located, the second objective is to assess its health by feeling for tone and texture; e.g. is it tight or loose? Are their trigger points located within it? Is it inflamed or tender to touch? Are fascial adhesions present? Assessing the health of the muscle is the most important aspect of palpation because the integrity of the tissue is what informs the masseuse’s decision regarding treatment. This consist of a full body massage and is a combination of 3 disciplines of massage – Swedish, Sports & Myofascial Release and la st between 50 minutes – 1 hour. I aim to achieve improvements within 1-3 sessions, and the best results are seen in dogs that have 3 treatments over 3 weeks. Sometimes dogs may need need more than the 3 sessions. Each treatment caters for each dogs individual needs, so i will adapt my techniques to suit different dogs. After the session i will explain what i have found and provide you with a list of instructions to follow so that your dog can get the most from their treatment. This will also give you a chance to ask me any questions you have.if they have long standing issues as it can take a couple of sessions to soften the muscle on these dogs. These treatments last 1 hour and and to produce the best results I usually work on 3 sessions over 3 weeks. You may want to book another session if your dog has a long standing issue that they have had for a few years, as it can take a couple of sessions to soften the muscle on these dogs as their bodies become very rigid. As your dog’s body restores its natural balance and begins to heal itself you may notice what is referred to as The Healing Crisis. It is characterized by a temporary increase in symptoms during the cleansing process which may be mild or severe. 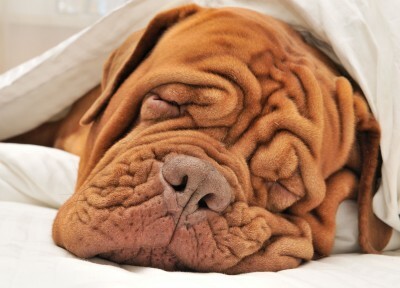 Your dog may feel worse for the first 24-48 hours and you may therefore conclude that the treatment is not working. But these reactions are instead signs that the treatment is working and that their body is going through the process of cleaning itself of impurities, toxins and muscular imbalances. This is a perfectly normal reaction and sets the stage for cellular regeneration.